12. 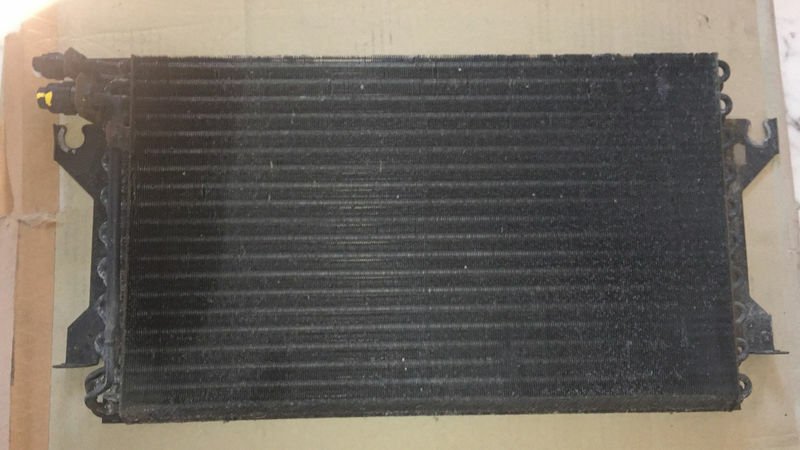 Pressure Plate -- USED, 68k miles -- This came out of my '86 951 (944 turbo) when I had the clutch replaced by a Porsche repair shop; The only reason the clutch was replaced was that one of the tiny springs in the disc came loose and prevented the clutch from fully disengaging. 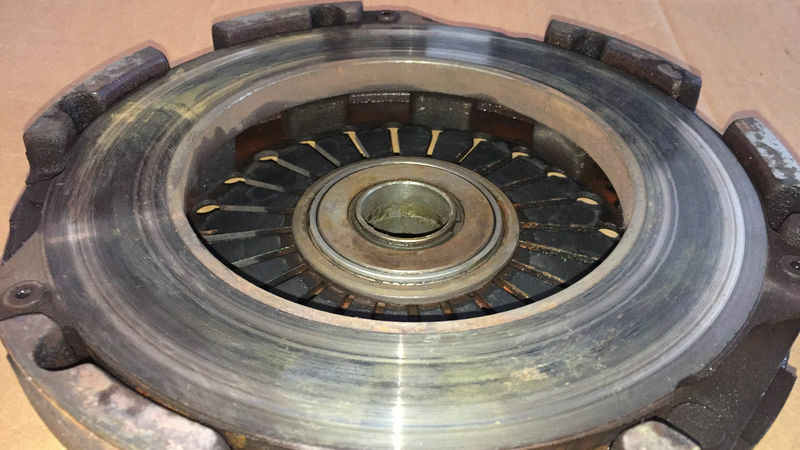 Prior to that, there were no clutch issues whatsoever. No scoring or cracks. 13. 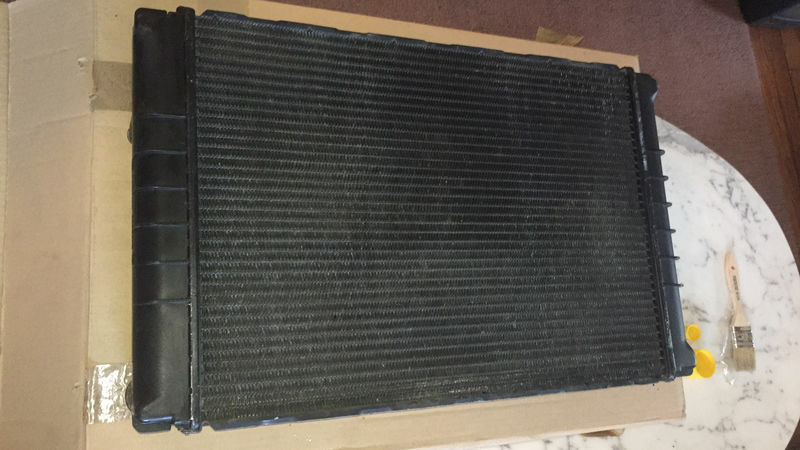 Radiator -- USED, 60k miles; Flushed yearly with new coolant added; Fins are clean and straight; no leaks, in perfect working order. 14. 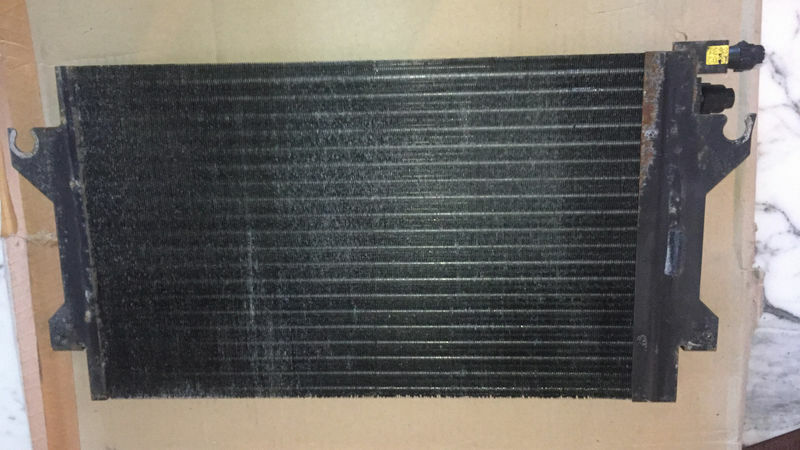 A/C Condenser -- USED, 60k miles; Fins are clean and straight; No leaks, in perfect working order. 15. 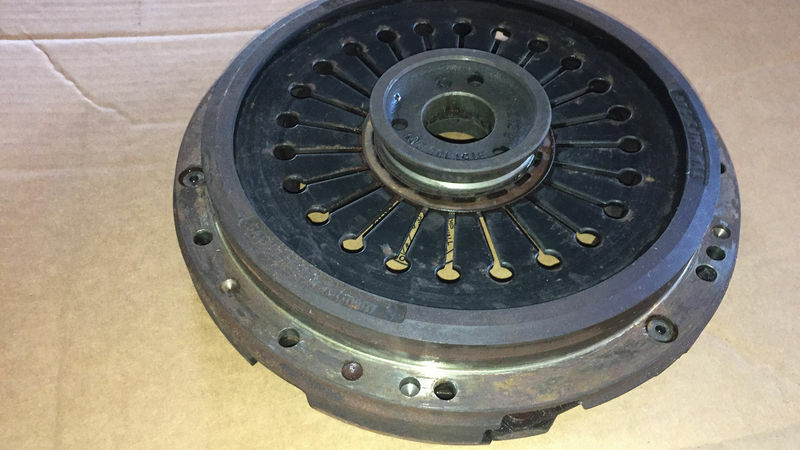 Pair of Fan Motor Assemblies -- USED, 60k miles; Perfect working order. Please see my other posts (parts 1 & 2).